I was honored this past week to be able to work with a family from England. One of the family members was a young boy, age 3. He was a brilliant soul, able to speak English and Russian with ease. He loved to laugh and he always made sure the entire family was included in every activity. He would play vigorously with such care for his environment. He was a pleasure and a gift to spend time with, a rock star in the making. Upon returning from a dog sledding adventure I gifted this young Buddha a large cup of hot chocolate. Well this was a revelation. Apparently he had never indulged in the world of hot chocolate. He was in instant paradise. He looked over to me when I handed himt he cup and said. 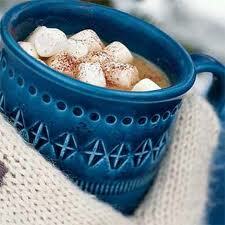 "Hot Chocolate. You like it?" "Oh Hot Chocolate is nice. It is better then hard chocolate"
He proceeded to consume the entire cup until he fell asleep with a little bit of chocolate on his chin. That was it, his first love revealed. This brilliant soul had been corrupted, like so many before, by the intoxicating melange of chocolate, milk and heat. Later in the night when we sat for dinner this well rested friend sat at the table cross legged. He put his hands together in front of his heart, in a prayer position and started to make a low grumbling sound. He did this for a few minutes uninterrupted. THe entire table started to stare at him unsure what he was doing but intrigued by this young boys determination. His mother broke the silence, "what are you doing?" "SHHHH" he gave a stern look to his mother, " I am praying for hot chocolate." The gift had been given to the family. WE laughed till we could barely breath. WE where all on the ground rolling in tears. The young boy had not even broken his posture. He was still chanting tot he gods of hot chocolate. I was then remionded that prayer for me is not something of seriousness, or fear. There is no formality I am concerned with. I just want to honor the simple pleasures in life, for it is in the simple pleasures that all the really cool gods and goddesses live. It took a three year old to remind me. It is in the hearts of the young that truth resides.